Is natural hair hard to manage? Relax In My “Soothing Vanilla Sweet Rose” Warm Milk Bath Recipe. What is the rose water ingredient good for? Fly To Barbados For These Exciting Activities. Is Finding Your Self Worth Easy? Exploring the walks of life with appreciation. After a long day from work, it’s time for me to get a meal, relax and watch the latest Netflix shows or movies. Hours went by and now it’s 10pm. Before heading to bed, I like to make sure that my skin is properly washed and ready for the night. However, my night regime isn’t so simple. Ever since I was young, my complexion wasn’t even. I would get dark pigmentation around and under the eyes which were difficult to remove. There are many causes of hyperpigmentation and for me, it was U-V light. The neglect of sunblock at such a young age drastically affected my appearance. I was told constantly by my parents to use sunblock yet I was rebellious. After tons of research, I found out that products containing vitamin C and hyaluronic acid are best to treat discoloration. They help to alleviate dry skin, reduce wrinkles, even the skin tone and treat Ultraviolet (U-V) damaged skin. How do I start my facial night routine? First, I would remove my makeup then use “Sephora Triple Action Cleansing Water” for the residue. This product always leaves my skin soft and refreshed. I then use my “Sephora Rose mask” which brightens and delivers moisture to the skin. It’s great for blemishes, dryness and of course an uneven complexion. I let this product sit on my face for 15 minutes then rinse with warm water. My routine doesn’t end there! To continue the process of clearing up the hyperpigmentation, I lightly mist my face with “Mario Badescu’s Skin Care Facial Spray With Aloe, Herbs And Rosewater”. This product has done wonders for me, even on its own!! Once my face is dry, I use “Advanced Clinical Vitamin C serum” and gently rub onto the problem areas. I then spray “Andalou Naturals Clementine + C Illuminating Toner”. To seal the deal, I use “Sephora Instant Moisture” cream then head to bed. When I wake up, my face feels brand new! After a period of time, the discoloration started to fade and this night skincare regime was here to stay! This method is safer and better than using bleaching creams because it only targets the discoloration spots. Furthermore, my hyperpigmentation was no longer noticeable to friends and family. Most importantly, I no longer needed a lot of makeup to hide this issue! 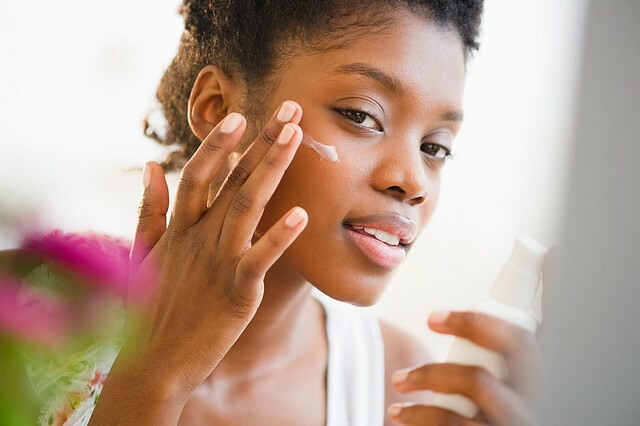 Which products helped to clear your hyperpigmentation? Relax In My "Soothing Vanilla Sweet Rose" Warm Milk Bath Recipe.